I created this for National FroYo Day 2019. 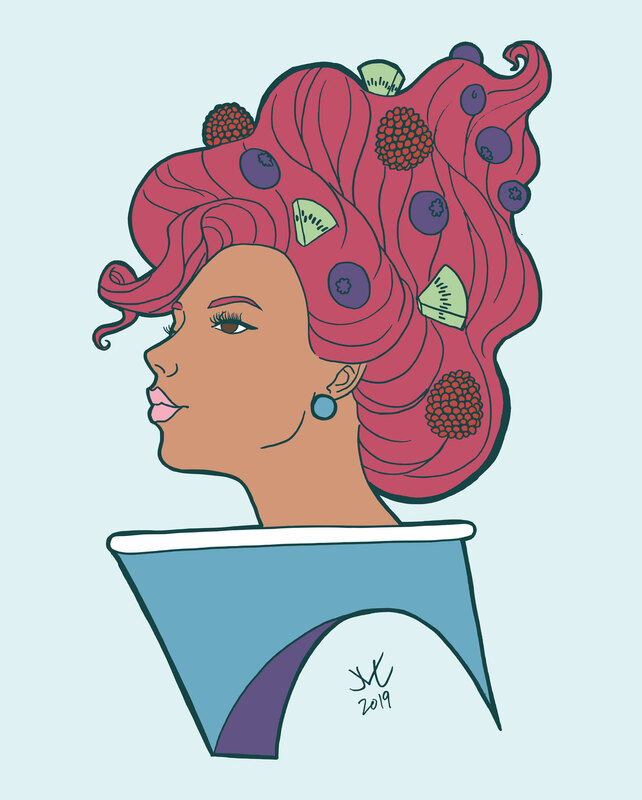 After I started sketching, I got a really 60s vibe, so I just ran with that, both in lineart and colors! These are available as prints and merch and you can also commission a portrait in this style, because who doesn’t want frosting hair? ?